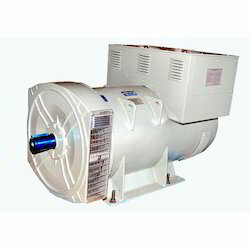 Our range of products include slip ring alternator and crompton greaves brushless alternator. We are trading of Crompton Greaves Slipring Alternator / Auxiliary Alternator. Crompton Greaves make Slip ring type Ustad Series Alternator, Screen protected Drip Proof with enclosure confirming to protection IP 23, Horizontal Foot mounted (B3), 1500 RPM 4 pole 0.8 PF (lag) voltage regulation +-5%, double bearing suitable for operations upto 40 Deg. C Ambient Temperature & 1000 Mtr. altitude, temperature rise limited to class 'H' limits. 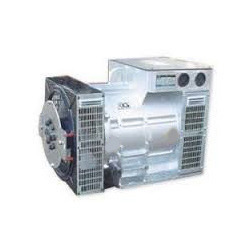 We are offering of Crompton Greaves Brushless Alternator, Screen protected Drip Proof with enclosure confirming to protection IP 23, Horizontal Foot mounted (B3), 1500 / 3000 RPM 4 / 2 pole 0.8 PF (lag) voltage regulation +-1%, Single bearing suitable for operations upto 40 Deg. C Ambient Temperature & 1000 Mtr. altitude, temperature rise limited to class 'H' limits.